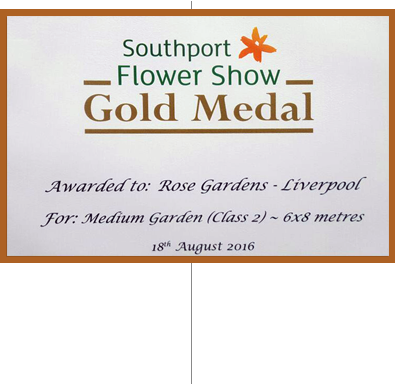 Rose Gardens has been a successful and established business for 30 years. I have owned the company since 2005, before initially working along side my father to develop my skills as a landscape designer and architect. As a small business I pride myself on offering a personal and unique service that has resulted in many satisfied clients. I meet each client personally during free consultations which allow you to combine your ideas and visions with our practical advice, experience and expertise. We have extremely high standards, and value your communication and in put every step of the way while you sit back and let us do the hard work! 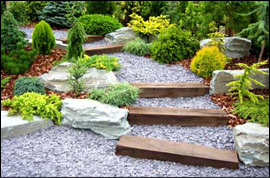 Rose Gardens offers a range of landscaping gardening services. 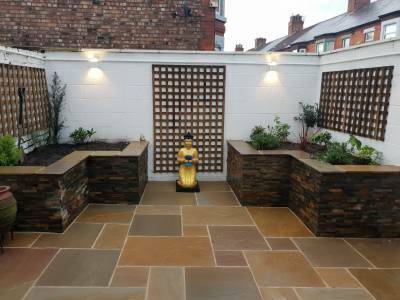 We can take an idea, through to a complete landscaping of your garden but we also offer other services, such as block paving or tree felling. 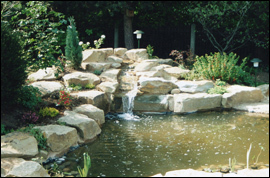 How would you like to sit back in your garden and listen to the relaxing sound of water trickling its way through pebbles? 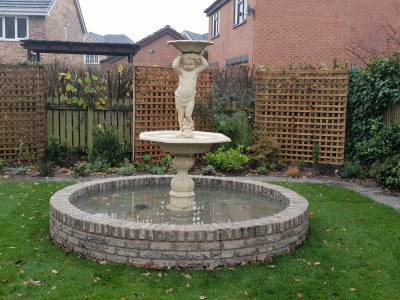 Water features can enhance your entire garden with little maintenance. 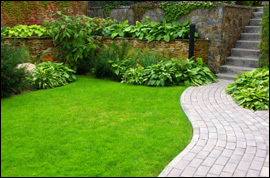 Rose Gardens offers a full lawn construction service. Starting with digging the surface, the ground is turned over and broken up. We only use the best quality turf to ensure maximum life and durability. A new driveway can dramatically improve your homes appearance and add financial value to the property. 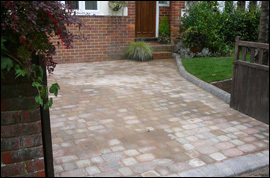 We can help you build a driveway to suit your budget and look fantastic in the process.